CAUTION: this sauce is HOT HOT HOT. Made from a mind-blowing mix of spices and chilli peppers, this fiery concoction is packed with deep and unexpected flavours. Super spicy and utterly delicious, this is a welcome addition to any dish you want to pack a punch. 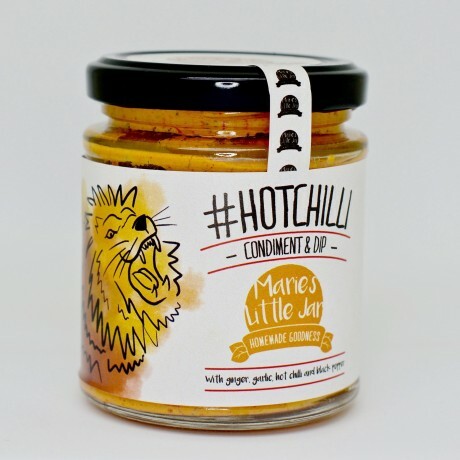 Marie’s Little Jar sauces are made with fresh ingredients and nothing artificial, making the flavours of West and Central African cuisine accessible to all. Suitable for vegans, nut-free, gluten-free, dairy-free, sugar-free. No colorant, artificial preservatives or artificial additives. Carefully - this is spicy stuff! Perfect as a dipping sauce for crisps or vegetables, as a marinade, with grilled prawns, or to add some spice to a pasta sauce. Habanero Chillies (25.6%), Onion, Sunflower Oil, Fresh Ginger (10.3%), Lemon Juice, Fresh Garlic (6.4%), Red Pepper, Sea Salt, Spices (contain Black Pepper (0.5%)). Suitable for vegans, nut-free, gluten-free, dairy-free, sugar-free. No artificial preservatives or artificial additives. 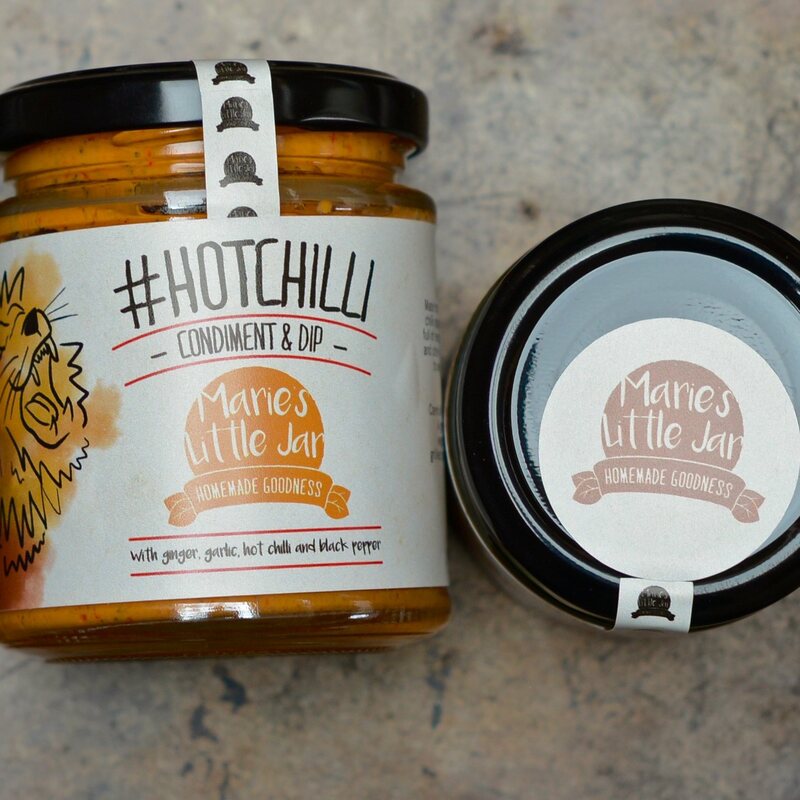 This product is dispatched by Marie's Little Jar. This item has a shipping weight of 350g. Homemade West and Central African sauce and marinade blends to liven things up in the kitchen.